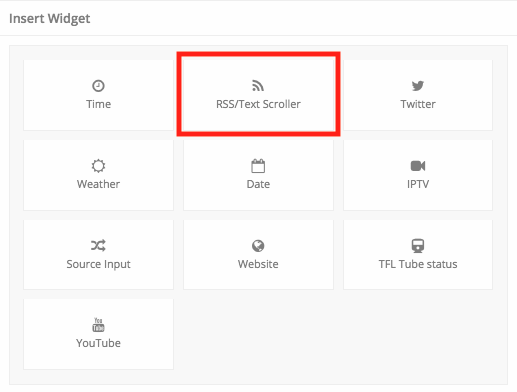 With the RSS/ Text Scroller widget you are able to add an RSS news feed or display custom text. As mentioned before this widget can either display an RSS feed or custom text. You select which 'Type' you wish to show when configuring the RSS/Text settings. Text Items - This is where you type the text you wish to show. Each story/ item will need to be on its own line. Number of items - Determine how many stories/ items you wish to show. 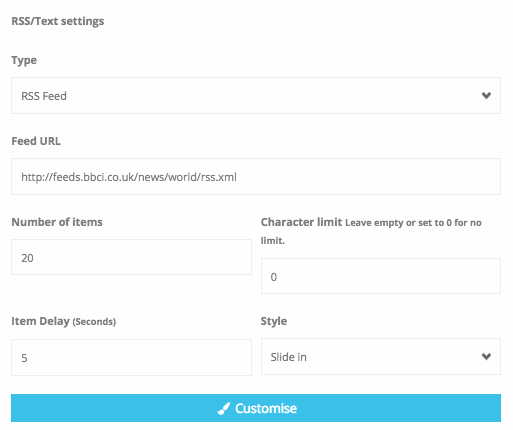 Once you have configured your widget, click 'Customise' to customise the widgets formatting. 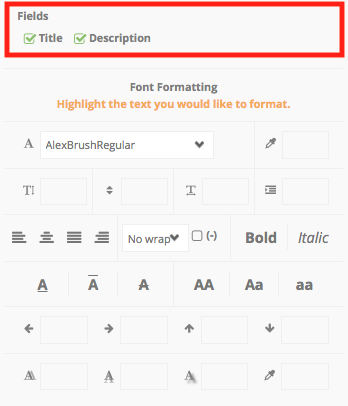 Once you have selected which field(s) you wish to show, highlight the text and use the font formatting settings to customise things such as the font, font size, font colour etc. 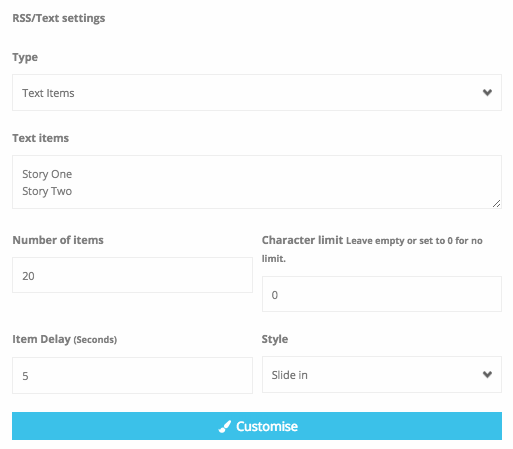 Simply highlight the text and use the font formatting settings to customise things such as the font, font size, font colour etc.